Au lendemain du référendum mené en Grande-Bretagne (GB), on peut se demander quelles sont les implications juridiques d’une telle décision. Celles-ci sont nombreuses ; plusieurs scénarios peuvent être envisagés pour prévoir l’avenir des relations entre la GB et l’Union européenne (UE). Ben Perry de la firme Sullivan & Cromwell et Simon Witty de la firme Davis Polk & Wardwell ont exploré toutes les facettes légales de cette nouvelle situation dans deux articles parus récemment sur le site du Harvard Law School Forum on Corporate Governance. Ce sont deux articles très approfondis sur les répercussions du Brexit. On doit admettre que le processus de retrait de l’UE est complexe, qu’il y a plusieurs modèles dont la GB peut s’inspirer (Suisse, Norvégien, Islandais, Liechtenstein), et que le vote n’a pas d’effets légaux immédiats. En fait, le processus de sortie et de renégociation peut durer trois ans ! Je vous invite à prendre connaissance de ces deux articles afin d’être mieux informés sur les principales avenues conséquentes au retrait de la GB de l’UE. Le 25 juin, je vous ai déjà présenté l’article de Perry qui a suscité beaucoup d’intérêt (Brexit: Legal Implications). Aujourd’hui, je vous présente le texte de l’article de Witty (The Legal Consequences of Brexit) qui met l’accent sur les répercussions prévisibles qu’aura ce retrait sur le marché des capitaux, les fusions et acquisitions, les différends liés aux contrats, les lois antitrusts, les services financiers et les mesures de taxation. On June 23, 2016, the UK electorate voted to leave the European Union. The referendum was advisory rather than mandatory and does not have any immediate legal consequences. It will, however, have a profound effect. With any next steps being driven by UK and EU politics, it is difficult to predict the future of the UK’s relationship with the EU. This post discusses the process for Brexit, the alternative models of relationship that the UK may seek to adopt, and certain implications for the capital markets, mergers and acquisitions, contractual disputes and enforcement, anti-trust, financial services and tax. The treaties that govern the EU expressly contemplate a member state leaving. Under Article 50 of the Treaty on European Union, the UK must notify the European Council of its intention to withdraw from the EU. Once notice is given, the UK has two years to negotiate the terms of its withdrawal. Any extension of the negotiation period will require the consent of all 27 remaining member states. When to invoke the Article 50 mechanism is, therefore, a strategically important decision. In a statement announcing his intention to resign as Prime Minister of the UK, David Cameron stated that the decision to provide notice under Article 50 to the European Council should be taken by the next Prime Minister, who is expected to be in place by October 2016. Any negotiated agreement will require the support of at least 20 out of the 27 remaining member states, representing at least 65% of the EU’s population, and the approval of the European Parliament. If no agreement is reached or no extension is agreed, the UK will automatically exit the EU two years after the Article 50 notice is given, even if no alternative trading model or arrangement has been negotiated. The UK continues to be a member of the EU in the interim period, subject to all EU legislation and rules. It is not clear what model of relationship the UK will seek to negotiate with the EU. In the run-up to the referendum, a number of options were suggested. Politicians in favor of withdrawing from the EU did not coalesce around a specific alternative. It is, therefore, unclear what model will ultimately be followed or whether any of the models could be achieved through the Article 50 process. The principal options are outlined below. The Norwegian model. The UK might seek to join the European Economic Area, as Norway has. The UK would have considerable access to the internal market, i.e., the association of European countries trading with each other without restrictions or tariffs, including in financial services. The UK would have limited access to the internal market for agriculture and fisheries; and it would not benefit from or be bound by the EU’s external trade agreements. In addition, the UK would have to make significant financial contributions to the EU and continue to allow free movement of persons. It would also have to apply EU law in a number of fields, but the UK would no longer participate in policymaking at the EU level, and would be excluded from participation in the European Supervisory Authorities, the key architects of secondary legislation in the financial services sphere. To adopt this model, the UK would require the agreement of all 27 remaining EU member states, plus Iceland, Liechtenstein and Norway. Negotiated bilateral agreements. Like Switzerland, the UK might seek to enter into various bilateral agreements with the EU to obtain access to the internal market in specific sectors (rather than the market as a whole, which would be the case under the Norwegian model). This model would likely require the UK to accept some of the EU’s rules on free movement of persons and comply with particular EU laws. Again, the UK would not participate formally in the drafting of those laws. The UK would also have to make financial contributions to the EU. Negotiating these bilateral agreements would be a difficult and time-consuming process. Switzerland, for instance, has negotiated more than 100 individual agreements with the EU to cover market access in different sectors. As a result of its complexity, it is unclear whether the EU would work with the UK to negotiate this model within the Article 50 timeframe. Customs union. A customs union is currently in place between the EU and Turkey in respect of trade in goods, but not services. Under this model, Turkey can export goods to the EU without having to comply with customs restrictions or tariffs. Its external tariffs are also aligned with EU tariffs. The UK might seek to negotiate a similar arrangement with the EU. Under such an arrangement, and unless separately negotiated, UK financial institutions (including UK subsidiaries of US holding companies) would not be able to provide financial and professional services into the EU on equal terms with EU member state firms. For example, the EU passporting regime would not be available, meaning UK firms would have to seek separate licensing in each EU member state to provide certain financial services. Furthermore, in areas where the UK would have access to the internal market, it would likely be required to enforce rules that are equivalent to those in the EU. The UK would not be required to make any financial contributions to the EU, nor would it be bound by the majority of EU law. Free trade agreement. The UK might seek to negotiate a free trade agreement with the EU, which would cover goods and services. To do so, it may look to the agreement that was recently agreed between the EU and Canada after seven years of negotiations. This agreement removes tariffs in respect of trade in goods, as well as certain non-tariff barriers in respect of trade in goods and services. Although the UK would not be required to contribute to the EU budget, its exports to the EU would have to comply with the applicable EU standards. WTO membership. Under this model, the UK would not have any preferential access to the internal market or the 53 markets with which the EU has negotiated free trade agreements. Tariffs and other barriers would be imposed on goods and services traded between the UK and the EU, although, under WTO rules, certain caps would apply on tariffs applicable to goods, and limits would be imposed on particular non-tariff barriers applicable to goods and services. The UK would no longer be required to make any financial contributions to the EU, nor would it be bound by EU laws (although it would have to comply with certain rules in order to trade with the EU). Regardless of which model it adopts, the UK will no longer be required to apply some (if not all) EU legislation. The UK has implemented certain EU laws (generally, EU directives) via primary legislation that will continue to be part of English law, unless these are amended or repealed. Other EU laws (generally, EU regulations) have direct applicability in the UK without the need for implementation, which means that these laws would fall away once the UK withdraws from the EU, unless they are transposed into UK law. Finally, thousands of statutory instruments have been made pursuant to the European Communities Act 1972. If this act is repealed upon the UK’s withdrawal from the EU, then, unless transposed into UK law, these statutory instruments will cease to apply as well. Therefore, the UK will have to perform a complex exercise to determine which EU laws and EU-derived laws it wishes to retain, amend or repeal, driven in part by the nature of any agreement reached with the EU during exit negotiations. How may Brexit affect you? The UK’s withdrawal from the EU will impact countless areas of the economy. The following section discusses a number of Brexit’s potential implications for the capital markets, mergers and acquisitions, contractual disputes and enforcement, anti-trust, financial services and tax. The extent to which these areas will be affected by the UK’s withdrawal from the EU will depend on the model of relationship that the UK and the EU adopt following the Brexit negotiations. The financial markets will likely continue to be volatile, particularly during the Brexit negotiations. This may affect the timing of transactions or their ability to be consummated. The EU Prospectus Directive, which has been transposed into UK law, governs the content, format, approval and publication of prospectuses throughout the EU. Following eventual Brexit, the UK may no longer be bound by the Prospectus Directive and, thus, may seek to amend its prospectus legislation. For example, the Prospectus Directive provides that a company incorporated in an EU member state must prepare a prospectus if it wishes to offer shares to the public and/or request that shares be admitted to trading in the EU, subject to certain exemptions. The UK may wish to expand these exemptions, so that more offers can be made in the UK without a prospectus. Significantly, the Prospectus Directive also provides for the passporting of prospectuses throughout the EU. This means that a company can use a prospectus that has been approved in one member state to offer shares in any other EU member state. Without this passporting regime, UK companies will have to have their prospectuses approved both in the UK and at least one other member state where they wish to offer their shares, which may be particularly costly and time-consuming if the UK amends, for instance, the content requirements for prospectuses following Brexit, so that these no longer align with those prescribed by the Prospectus Directive. During the Brexit negotiations, transaction documents may need to include specific Brexit provisions, for example to address the uncertainty around the model of relationship to be adopted. As a result of ongoing uncertainty around the future of the UK’s relationship with the EU, a number of transactions with a UK nexus may be affected pending the Brexit negotiations. Share sale transactions generally are not subject to much EU law or regulation. Asset and business sales, however, may be more affected by Brexit. For example, the regulations that protect the rights of employees on a business transfer stem from a European directive. When the UK withdraws from the EU, it may no longer be bound by this directive, and, therefore, the UK may wish to amend or repeal the regulations. As a member of the EU, the UK is part of a framework for deciding jurisdiction in disputes, recognizing judgments of other member states (and having its own courts’ judgments recognized and enforced throughout the EU) and deciding the governing law of contracts. Following Brexit, the UK may no longer be part of this framework which may affect jurisdiction and governing law choices in transaction documents. Currently, mergers that fall within the scope of the EU Merger Regulation can receive EU-wide clearance, which means that they are not also required to be cleared by individual member states. Following Brexit, mergers with a UK nexus may need to be reviewed by the UK’s Competition and Markets Authority separately. More generally, UK anti-trust legislation is currently based on, and interpreted in line with, EU law, including decisions of the European Commission and the European Court of Justice. Given that UK courts may no longer be required to interpret national law consistently with EU law once the UK withdraws from the EU, businesses face the prospect of having to comply with divergent systems. Much of the UK’s financial services regulation is based on EU law. This includes legislation such as the Markets in Financial Instruments Directive (MiFID), which regulates investment services and trading venues, the European Market Infrastructure Regulation, which regulates the derivatives market, the Alternative Investment Fund Managers Directive, which regulates hedge funds and private equity, and the Capital Requirements Directive and the Capital Requirements Regulation, which together represent the EU’s implementation of the international Basel III accords for the prudential regulation of banks. The Bank Recovery and Resolution Directive (“BRRD”) has been implemented into UK law via the Banking Act 2009, so the fundamental bank resolution regime should initially survive Brexit. That said, substantial further EU legislative work is expected in this area to modify BRRD (e.g., in relation to the implementation of the TLAC standard), so it is possible that the regimes could diverge rapidly after Brexit. In general with financial services legislation, an assessment will need to be made whether to align with EU legislation or diverge; the greater the divergence, the more the dual burdens on cross-border firms. As mentioned above, the UK will likely not be part of the European Supervisory Authorities framework and will have no influence in the development of primary or secondary EU legislation and guidance. The UK has been a significant force in the area of financial services legislation and has driven the introduction of, for instance, the BRRD. The UK’s withdrawal may impact the legislative agenda and ultimately the quality of the legislation produced. Financial institutions established in EEA member states can obtain a “passport” that allows them to access the markets of other EEA member states without being required to set up a subsidiary and obtain a separate license to operate as a financial services institution in those member states. Following Brexit, UK financial services institutions, including subsidiaries of US and other non-EU parent companies, would no longer be able to benefit from passporting (unless the UK were to join the EEA pursuant to the Norway option described above). 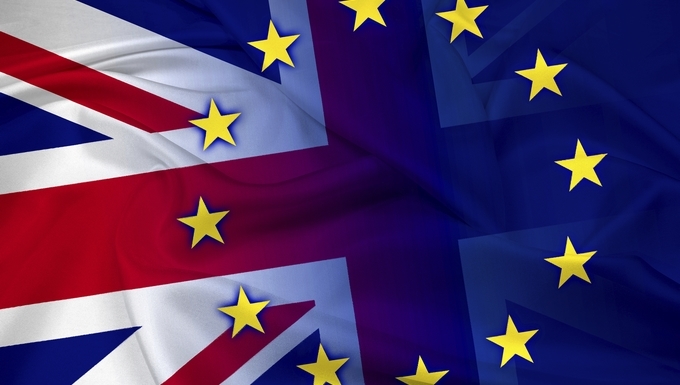 Although the UK will likely remain a member of the EU for a substantial period while negotiations are ongoing, there are pressing questions as to how the UK will engage with the ongoing legislative processes that affect the UK financial services industry. There are a number of areas where framework legislation has been passed already, but key secondary legislation is being developed or revised. These areas include the complete overhaul of MiFID and the Payment Services Directive. Even before the UK leaves the EU, we can expect to see a diminished role for the UK Government, UK regulators and UK market participants in shaping the detailed policies and procedures in those areas. We expect larger financial institutions in the UK, or those based outside the UK that have significant operations in the UK, will wish to contribute to the negotiation process between the EU and UK. In particular, to the extent a unique model for trading relationships is proposed, these institutions may wish to engage with policymakers to minimize disruption and damage to their EU business model. The EU has influenced many areas of the UK’s tax system. In some cases, this has been through EU legislation which applies directly in the UK; in other cases, EU rules have been adopted through UK legislation (for example, the UK’s VAT legislation is based on principles which apply across the EU); and, in still other cases, decisions of the European Court of Justice have either influenced the development of UK tax rules, or have prevented the UK’s tax authority from enforcing aspects of the UK’s domestic tax code. This complicated backdrop means that the tax impact of Brexit will be varied and difficult to predict. Direct tax: although the UK has an extensive double tax treaty network, not all treaties provide for zero withholding tax on interest and royalty payments. Accordingly, corporate groups should consider the extent to which existing structures rely on EU rules such as the Parent-Subsidiary Directive or the Interest and Royalties Directive to secure tax efficient payment flows. Similarly, corporate groups proposing to undertake cross border reorganisations would need to consider the extent to which existing cross-EU border merger tax reliefs will survive intact. It should also be borne in mind that, even if Brexit occurs, the UK is likely to continue vigorously supporting the OECD’s BEPS initiative such that there may well be considerable constraints and complexities associated with locating businesses outside the UK. VAT: although VAT is an EU-wide tax regime, it seems inconceivable that VAT will be abolished. However, it is likely that, over time, there will be a divergence between UK VAT rules and EU VAT rules, including as to input VAT recovery on supplies made to non-UK customers. Additionally, UK companies may lose the administrative benefit of the “one stop shop” for businesses operating in Europe. Customs duty: if the UK left the customs union, exports to and imports from EU countries may become subject to tariffs or other import duties (as well as additional compliance requirements). Transfer taxes: it seems that the UK would, at least in principle, be able to (re)impose the 1.5% stamp duty/stamp duty reserve tax charge in respect of UK shares issued or transferred into a clearance or depositary receipt system. Accordingly, the position for UK-headed corporate groups seeking to list on the NYSE or Nasdaq may become less certain. *Ben Perry is a partner in the London office of Sullivan & Cromwell LLP. This post is based on a Sullivan & Cromwell publication. *Simon Witty is a partner in the Corporate Department at Davis Polk & Wardwell LLP. This post is based on a Davis Polk memorandum.